Want VIP Access to the 2019 Mexico City Formula 1 Grand Prix? 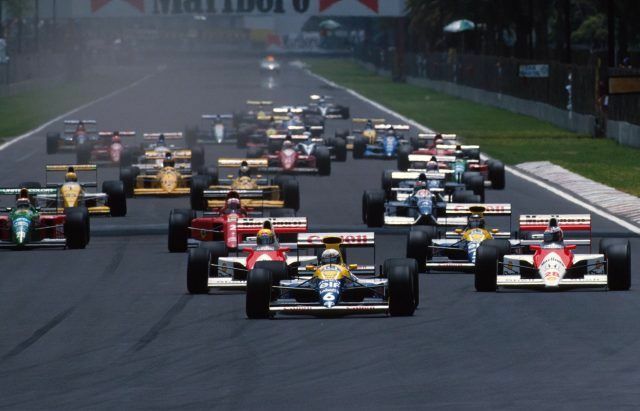 A return of Formula One to Mexico is almost perfect and deal has been agreed. It is down to the Mexican promoter now to improve facilities and bring the circuit up to scratch with Formula One’s high expectations. The circuit which hosted its last race two decades ago, will be completely renovated. The Main Grandstands and Paddock Club will now accommodate over 85,000 spectators. The circuit will cut through centre and left-ﬁelds of the Foro Sol baseball stadium and rejoin the old track via a hairpin and two right-handers. Race viewing guests now will be able to enjoy a “beach area” in front of the Main Grandstand. However the once-fearsome Peraltada corner will not be kept in the in the complete revamping-project. Experience the finest Mexico has to offer, all while enjoying the races. Welcome to the high life! Millionaire’s Concierge is here to fulfill your every need. What are you waiting for? Call us today, and we’ll make it happen! Why should the races be the only exciting element of your 2017 Mexican Formula 1 Grand Prix experience? When you enlist the services of Millionaire’s Concierge, we can arrange world-class hospitality before and after each race. The Mexico Formula 1 Grand Prix is an annual race that takes place in late October. In order to accommodate you, please provide us notice of at least a three months in advance. We have a wide selection of 2019 Mexico Formula 1 Grand Prix tickets which include front rows, private boxes and others. Whether you want to be within in cheering distance of your favorite racer or be able to see all the cars with a bird’s eye view, we can arrange it all.